Ponding water is detrimental when allowed to sit for a period of time on a flat commercial roof. This means it’s up to you to use tools to remove ponding water. It can improve drainage and ensure you don’t experience problems down the road. Knowing about the tools will make it easier to choose what’s best for your roof. Pros and cons exist for all of the tools to remove ponding water. One of the first tools available to you are ponding pumps. These are simple water pumps that are placed throughout the flat roof in low-lying areas. A hose attaches to the pump so the water is able to be pumped off of the roof down to the ground below. 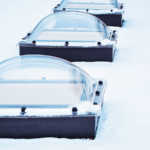 Although these are relatively affordable, several may be required depending on the size of the roof. Various models are available as well, including ones that are solar-powered. This makes it cheaper to keep operating. The downside to the ponding pumps is that it’s not a permanent solution. The low-lying areas still exist and therefore the pumps would have to be in place in an ongoing fashion to take care of the standing water. 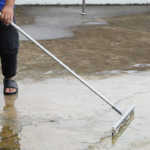 Push brooms are often used to remove small amounts of ponding water from a flat commercial roof. This is certainly a low-budget tool, but it’s not very effective. For one, it’s not something that will take care of the ponding automatically. You would have to remove the water manually after every rainfall. Not to mention that this is a time-consuming process. 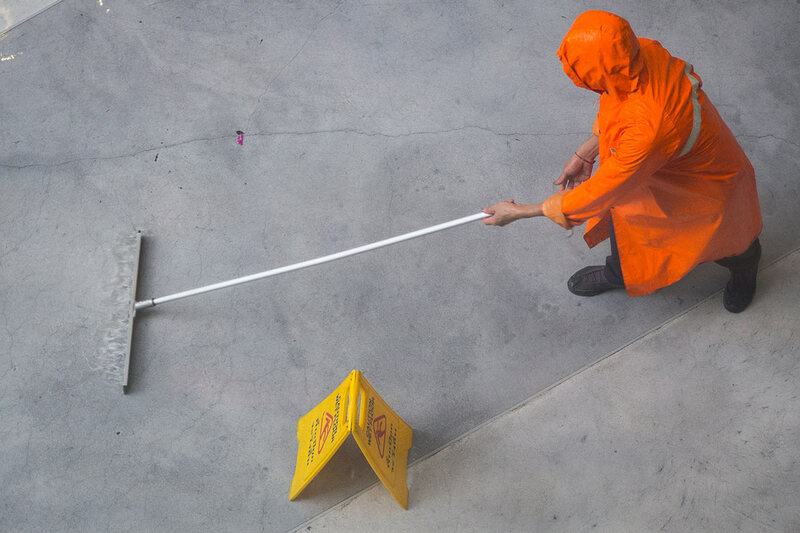 If you add a water alarm to the roof, you will be notified when there is water to tell you that you need to go up and sweep the water off. However, even with an alarm, it’s not a sufficient enough tool to truly make an impact. Another tool to remove ponding water that can be used is a tapered insulation system. Whether a building is part of new construction or if it is being re-roofed, this option adds a positive slope to the roof. A benefit to this kind of system is that it adds to the thermal resistance and therefore improves overall insulation of the building. The primary downside is that the construction of such a system is expensive. Many commercial property owners don’t want to spend the money when they are already paying for a new roof to be constructed. 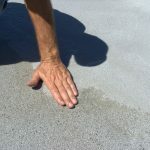 Using a roof coating as a tool to remove the ponding water problem is another option. The coating fills in the low-lying areas so that there is nowhere for the water to pond. This is a cost-effective method and dries quickly. 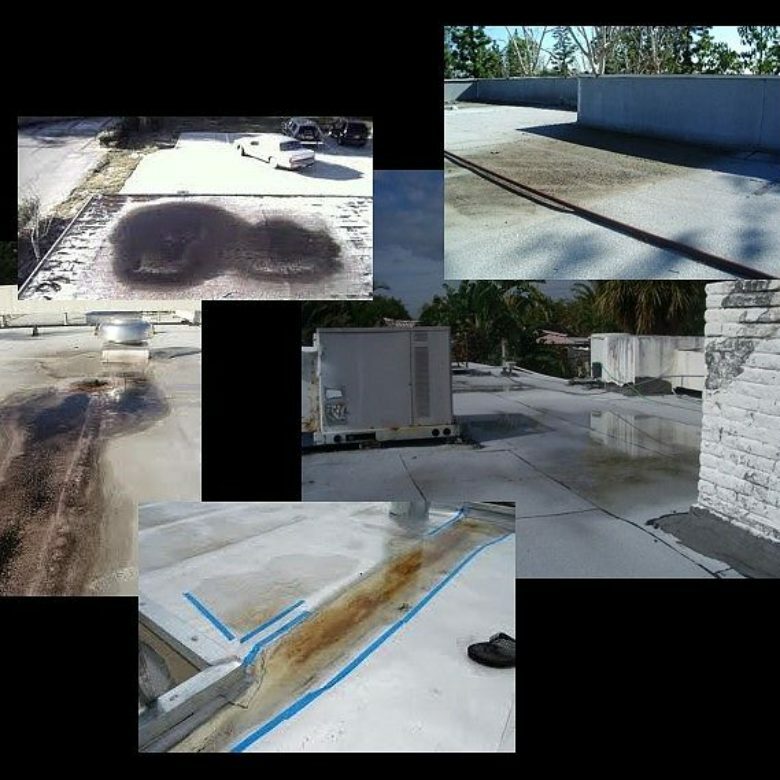 Roof coatings are an easy solution that can be in place within hours. 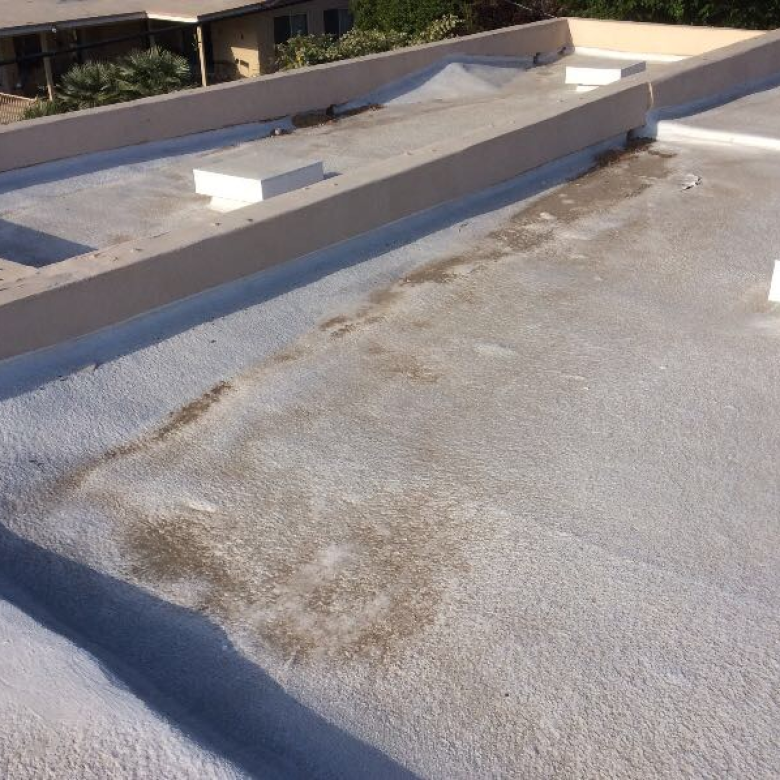 With the right roof coating, you gain a positive slope to ensure that water runs off on its own. It’s one less thing for you to worry about because you won’t need to visually inspect the roof every time it rains. You have plenty of tools to choose from when you experience ponding water on your roof. Some of the tools are more affordable and more effective than others. Much of it is going to depend on the size of your commercial roof as well as the budget you have to take care of the problem. 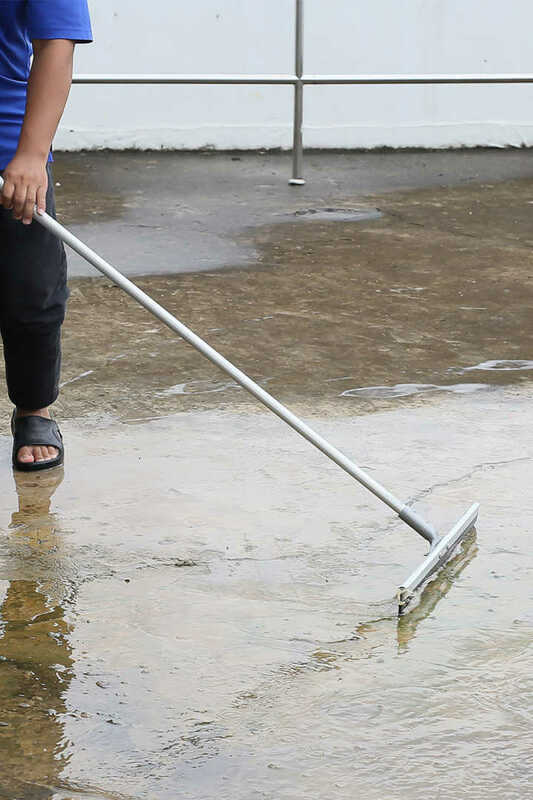 In the end, you want a tool that will take care of the problem once and for all so you don’t have to constantly wonder whether the water exists and whether it is damaging your roof. Learn more about safe ways to remove ponding by contacting RoofSlope today.